Sweeties, do you LOVE Cupcake Bingo??? Then we’re going to need your help! 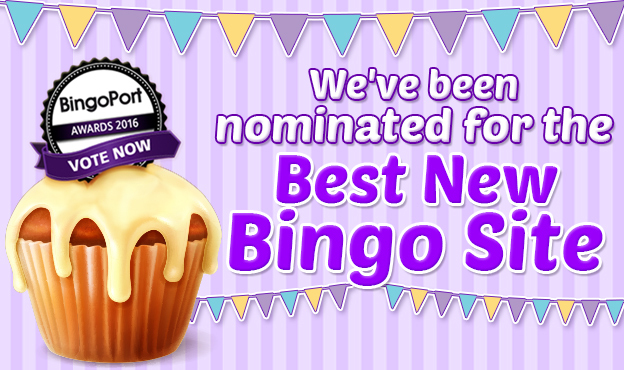 We’re delighted to have been nominated for Best New Bingo Site at the BingoPort Awards, but only your votes will help us WIN. Please take a moment to vote for Cupcake Bingo – let’s show the rest of the bingo world why Cupcake Bingo’s the tastiest place to play!